Browse Artists and Groups James Wilson Morrice, R.C.A. James Wilson Morrice was born in Montreal in 1865, the son of a wealthy merchant. From 1882 to 1889, he studied in Toronto to become a lawyer. As a student he began to paint landscapes in the Adirondacks and Lake Champlain. 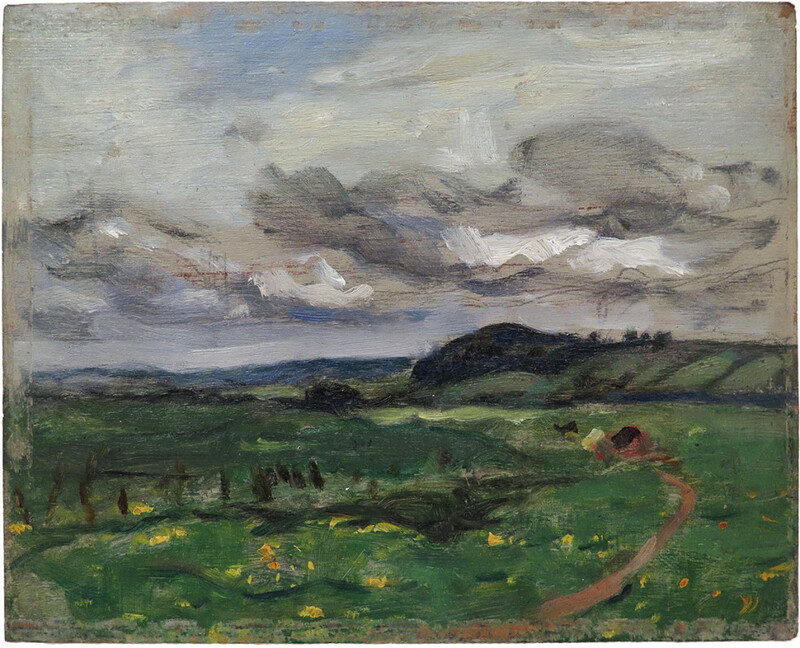 He exhibited a painting with the Royal Canadian Academy in 1888, and in 1889, two of his paintings were hung in the spring show of the Montreal Art Association. When he was twenty-four, Morrice abandoned law to become an artist. He travelled to Europe, where he studied art at the Académie Julian with Henri Harpignies and became friends with Henri Matisse, Albert Marquet and other French avant-garde artists. Morrice lived in Paris, but until the death of his parents spent most of his winters in Montreal, sometimes sketching with Maurice Cullen and William Brymner, two Canadian impressionists. An accomplished musician and avid reader, Morrice established himself in the English-speaking literary and art circles of Paris. He adopted a way of working, which he would continue for the rest of his life - going out each day to record his impressions on small wooden panels, some of them no bigger than a postcard. The bigger works were developed in his studio at a later time. Morrice was a wealthy man and did not have to work for a living. This gave him the freedom to travel to and paint in Italy, Belgium, Holland, Great Britain, Algeria, Jamaica and Cuba. Twice he travelled with Matisse to paint in Tangier (1912 and 1913). During World War I, he was commissioned to paint the Canadian troops in action in Picardy. At this time he also started a series of portraits and model studies since travelling was more difficult. After the war his health began to deteriorate, having developed stomach problems due to alcohol abuse. Feeling well again around Christmas 1920, Morrice spent a few weeks in Canada, painting around Quebec City. He spent a few weeks in Trinidad before returning to Paris. In the summer of 1922, he travelled to Algiers, where he painted with Albert Marquet. After this trip his health rapidly deteriorated and he was no longer able to paint. Morrice died while on a visit to Tunis in January 1924. Please send me more details about the following artist. James Wilson Morrice, R.C.A. inscribed in pencil by, "R.B. Morrice" (verso, left).